These days, a house is perhaps one of people’s most valuable assets and as such it needs to be kept clean and neat. Fact is though that not many people have the time and energy to clean their house week in and week out. Keeping the house clean is not just a matter of good housekeeping, but it is also important because it provides a healthier living environment for occupants, especially important for growing children and people with respiratory and skin conditions. Our professional house cleaning service in Liverpool is the ideal solution to all of the above, and of course all other cleaning requirements. Our house cleaning service offers end to end coverage of all requirements, general or specific. The cleaning is very thorough and effective, our cleaners will even go over out of sight and certain hard to reach areas as these also need proper cleaning. The cleaning can be made to cover all rooms of the house, or customer specified areas so there is immaculate hygiene where it’s needed most. The cleaning can focus on high traffic and heavy duty areas like kitchen, wet rooms, hallway, stairs, front / back door areas etc. The cleaning service can be made to include additional options like carpet, upholstery or oven cleaning, or otherwise altered as per individual needs. Obviously professional house cleaning in Liverpool should deliver pro grade results, with no margin for error. This is why we have made sure that our house cleaning service yields just that. We employ qualified cleaners who have the necessary practical skills and experience to handle their duties with professional pace and efficiency. The cleaners are trained to use industry approved cleaning systems (products, supplies, equipment) as these not only ensure better results, but also reduce service time and cut material and resource waste. The cleaning teams are trained to work under a minimum water and resource waste policy as to give the environment, and your budget a break (reduced material / water waste means lower service costs). Since house cleaning is a process carried out in close proximity to occupants, we do not use any toxic or aggressive cleaning products which may harm humans or animals. 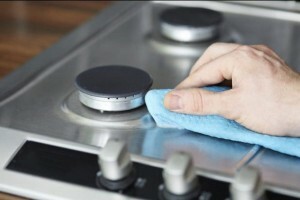 All cleaning products will evaporate and dissolve without trace or residue after service is finished. Having said this, cleaning supplies are not to be misused so children and pets must be kept well clear during cleaning. We know that effective house cleaning takes time and effort on a regular basis. This is why we offer customers a fixed schedule a cleaning service in Liverpool at excellent price. The frequency and duration of regular cleaning visits is based on customer preferences and availability. We will send you the same cleaner each time as this improves efficiency and reduces cleaning time. Should you be not entirely satisfied with your current cleaner, we will be more than happy to send a different person to your address. Services are booked seven days a week, under flexible hours.